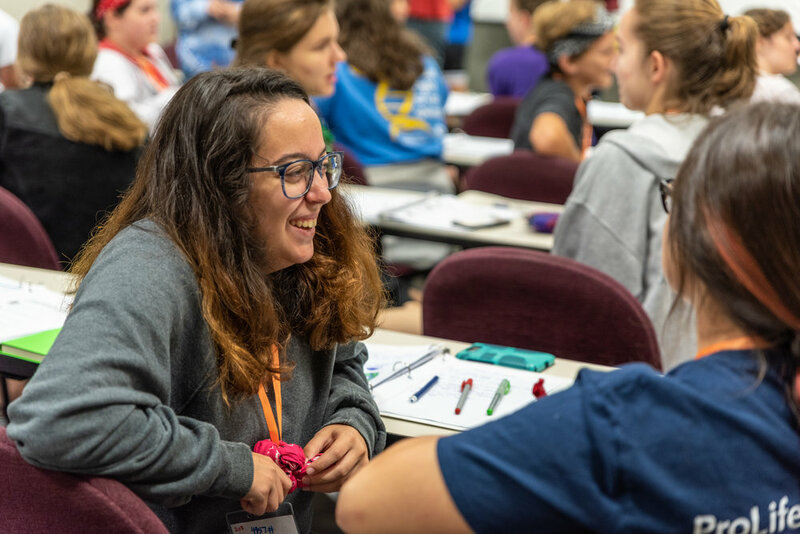 High School and College students, be educated, trained, and inspired to become a Pro-Life Leader at a PULSE Immersion Weekend! PULSE will be an exciting weekend to immerse yourself in the pro-life cause! With engaging speakers and testimonies, you will be educated on the pro-life issues and inspired to make a difference. With hands-on activism, games, our famous PULSE Coffee House, and a number of field trips and onsite activities, you will have a blast! Also, our Pulse Leadership Institute is held each summer in Baton Rouge! Southwest & Central La PULSE Immersion Weekend will take place from Friday, November 16th at 5 PM to Sunday, November 18th at Noon, and will be held at Dry Creek Baptist Camp. You will have the opportunity to sharpen your pro-life knowledge and persuasion skills, discuss effective activism among other pro-life topics, hear beautiful testimonies, and hang out with fellow passionate pro-life students from all over the state! Please click to learn more about the Weekend details, and REGISTER TODAY! South Louisiana PULSE Immersion Weekend will be held at Camp Istrouma, from Friday, February 22nd at 5 PM, to Sunday, February 24th at Noon. Students will witness at the Delta abortion clinic, visit with the Women's New Life Center, and have lunch with the governor! Throughout the weekend, they will grow in pro-life knowledge and persuasion skills, discuss effective activism, hear beautiful testimonies, and hang out with fellow passionate pro-life students from all over the state, especially on Istrouma's beautiful lake in canoes! Check back for Registration to open soon! Greater New Orleans PULSE Immersion Weekend will take place from Friday, March 29th at 5 PM, to Sunday, March 31st at Noon, and will be held at Bocamb, near Folsom! You have the opportunity to visit the new Northlake Crisis Pregnancy Center, as well as sharpen your pro-life knowledge and persuasion skills, discuss effective activism among other pro-life topics, and hang out with fellow passionate pro-life students from all over the state! Please click to Learn More about the weekend details, and Registration will be open soon!